Having a preemie baby can change the way you look at life. It can change the methods by which you prioritize everything from household tasks and work to relationships with family and friends, as well as the focus you place on yourself. Spending any amount of time in a NICU can make an impact on your heart. Parents of preemies learn fast that we need to be amazingly strong. And if there are times we don’t have the strength for ourselves, we also quickly realize how comforting it can be to be able to pick up the phone, send a text or an email, and reach out to someone who has been exactly where we are. Some people will understand the change and the new person you’ve morphed into since becoming a preemie mom, while others won’t ever grasp the change, and that’s OK. Hang on tight to anyone who makes an effort to help you get through the NICU experience, and who wants to be there for you and your preemie(s). 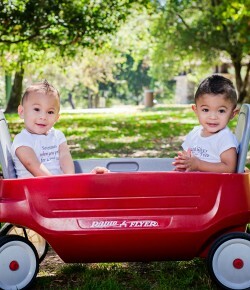 I am so thankful to have two close friends who experienced a NICU journey similar to mine with premature twin boys. Almost three years later, I still reach out to them every few weeks for advice about minor medical-related issues that arise, advice on the different toddler stages and struggles, and even for reassurance when I feel like I am doing motherhood all wrong. We understand the complex emotions. It’s been two and half years since my twin boys were born premature at 28 weeks, and I still think to myself, “What did I do wrong? Why wasn’t my body strong enough to carry them longer?” I don’t think I will ever “get over” their premature birth; it’ll always stay with me. It’s comforting knowing other preemie moms can relate to the emotions I will likely always feel about their NICU days. Some preemie moms also understand why I cringe when I hear my friends say they “can’t wait” to have their full-term baby, or when they do things to kickstart their labor. I am not trying to be judgmental. I am still experiencing sadness about my pregnancy that was cut short, and I really just want you to enjoy yours until baby says its time. We praise every milestone. In our eyes, our babies will always be worthy of praise, no matter how old they are. We are each other’s best sounding boards. I am so grateful to know when I talk to fellow preemie moms, they don’t judge me. Instead, they understand my deepest emotions about everything related to my prematurity experience. I feel like I can tell another preemie mom (even a mom I just met) anything, and almost instantaneously they relate and know exactly how I am feeling. The premature baby and mommy community is a strong one, and it’s a great comfort to know there are others who are always willing to listen and be a friend.